Awaiting update on this one. Remember, Lost Parcels does not have access to a list of APC Overnight customers. This item was overlooked by APC’s internal UID freight department. The goods we have emanated from APC Overnight who sold them on. Will be sending them images as we have wholesale/distributor consignment. The torts of interference of goods act 1977 requires that reasonable efforts be made to trace goods back to the true owner before resale. 40 years on since the law was passed and considering that we live in the internet communications age, what do you think constitutes reasonable efforts in this day and age? Very sad. I have already traced back a few items to sender i.e. 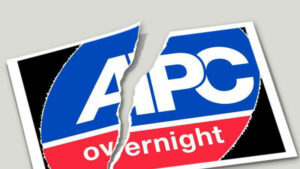 former customers of APC Overnight who are no longer in business. Great for APC cause they don’t have to answer to them. It’s ever so important how parcel companies deal with items that get lost, because they have a major knock on effect on small businesses who are just getting off the ground. I’ve contacted BFM Europe with images and wait for their response.